A new competitor has stepped into the virtual reality ring, albeit a very surprising one. While Samsung will likely introduce the Gear VR headset with a premium price tag, Archos has introduced the VR Glasses, which take a lower price point route at just $29.99. Much like all other VR headsets, users will place their device (optimal device stated by Archos features a 5″ 1080p display and quad-core processor) into the headset, then strap it to their head. After that, a number of games, videos, and other applications will allow you to escape real life, transporting you into a world of virtual reality. Virtual Reality is still a growing platform, but with manufacturer support booming thanks to Samsung, Facebook, and Oculus, it’s only a matter of time until developers catch up with amazing content for these headsets. VR Glasses will be available this November through Archos’ online store and in a number of retailers. Denver – October 16, 2014 – ARCHOS, a pioneer in Android™ devices, announces developing its wearable technology with ARCHOS VR Glasses. Immersing users in a virtual reality environment, the French company keeps on making cutting-edge technology universally available. “Consuming digital content has gone through lots of revolutions lately. Virtual Reality is another one that we help sharing with people by providing high quality yet attainable devices” says Loïc Poirier, CEO of ARCHOS. Compatible with all Virtual Reality applications (more than 100 as for now), ARCHOS’ latest wearable product is also made to free users from reality thanks to its lightweight yet robust material. With the upcoming ARCHOS Video Player update, users will also enjoy 3D videos in a stereoscopic mode on their mobile, creating the illusion of seating in a 3D movie theatre. Optimum requirements for an immersive experience are a full HD 5” smartphone with quad core processors (or higher) and motion sensors such as an accelerometer and a gyroscope. 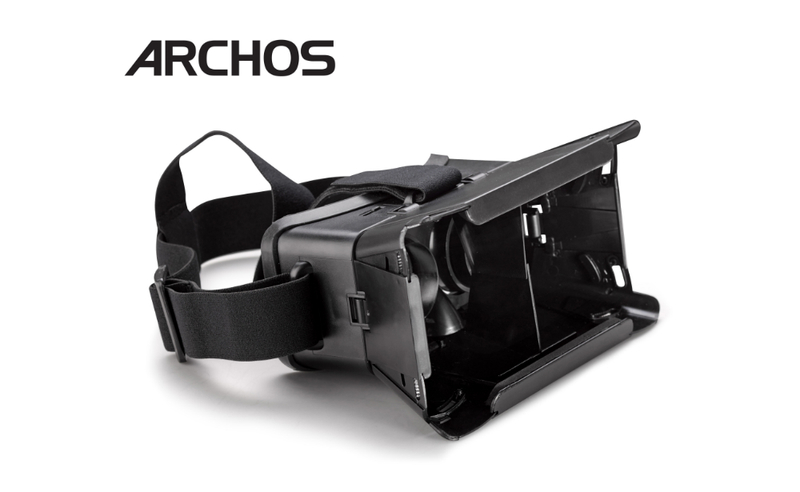 ARCHOS VR Glasses will be available in November, starting at $29.99 from www.archos.com and its usual retailers. For more information about ARCHOS’ entire selection of smartphones, tablets and connected objects, visit us at www.archos.com or follow us on Facebook and Twitter.